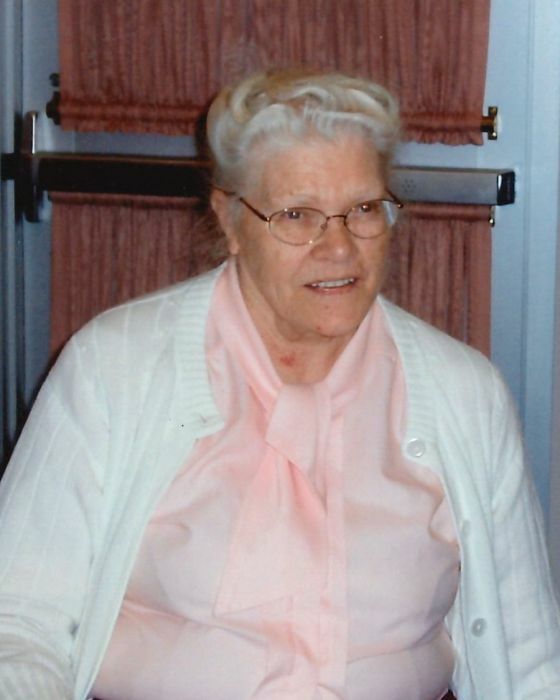 Ethel passed away peacefully at Wetaskiwin on August 20, 2018. She is survived by her two sisters, Mabel Nelson of Red Deer, and Mary-Ann Blakeman of Edmonton; as well as numerous nieces, nephews and friends. Ethel was predeceased by her loving husband, Arnold; parents, Amos and May Blakeman;3 brothers, 3 sisters and 4 infant brothers. A Memorial service will be held on August 29, 2018 at 10:30am at Baker Funeral Chapel.